I used Pima Cotton Wale Pique for the fabric, and the jumpsuit is altered from Burda 7278. 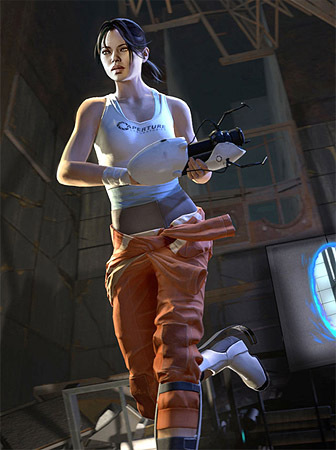 The Aperture tank top was just bought (it’s official Portal merchandise). The Portal 1 long fall blades are made with craft foam with jewelry wire inside to hold their shape. 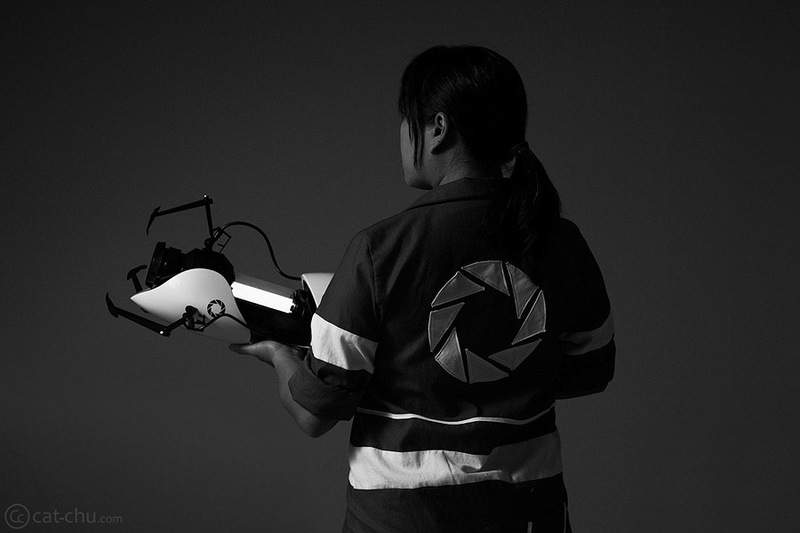 The Portal 2 long fall boots were made with stretch vinyl and craft foam. 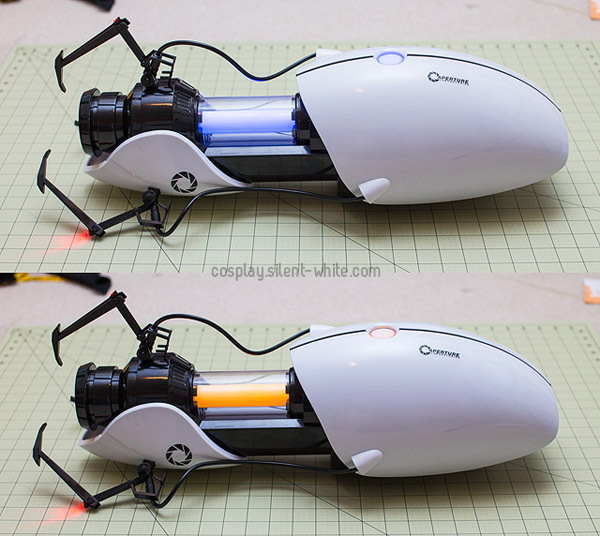 The blades were made with craft foam covered with Worbla, and the pieces come together with strong magnets. 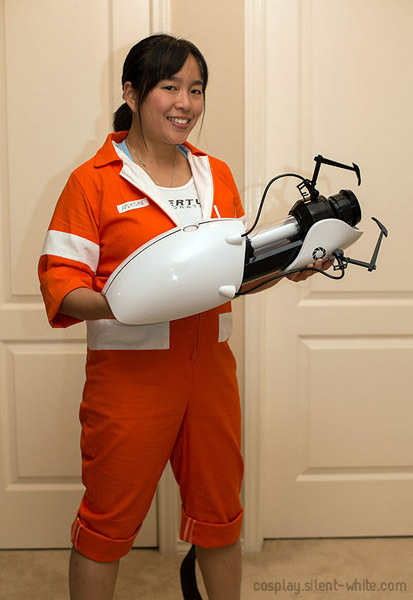 The Portal gun was bought. 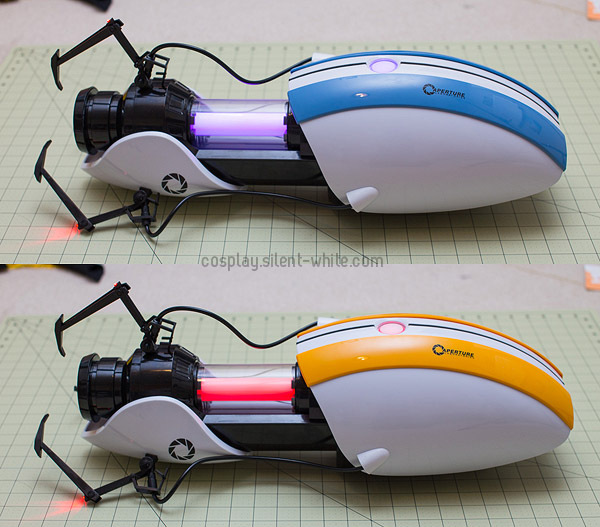 It’s a 1:1 scale replica that has portal sounds, all portal light colors, and is customizable to be the gun for Chell, Atlas, or P-body. 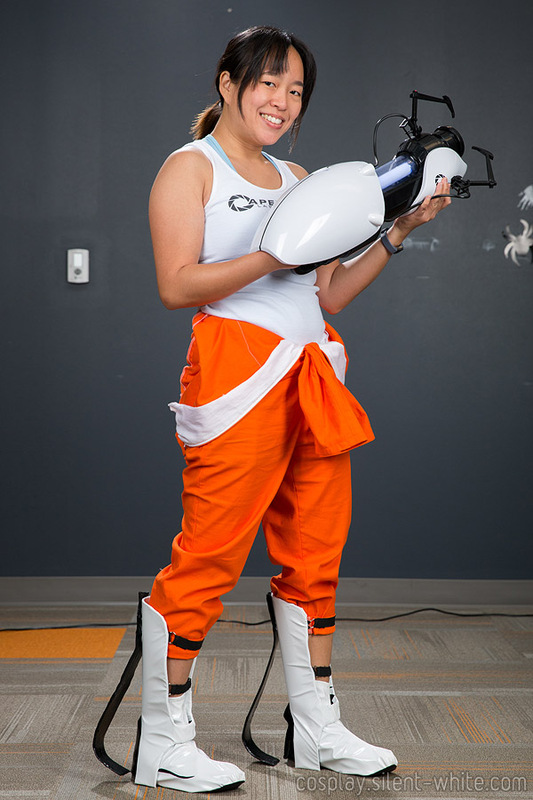 I love the Portal games, and after seeing Chell’s Portal 2 look, I decided to attempt her costume. 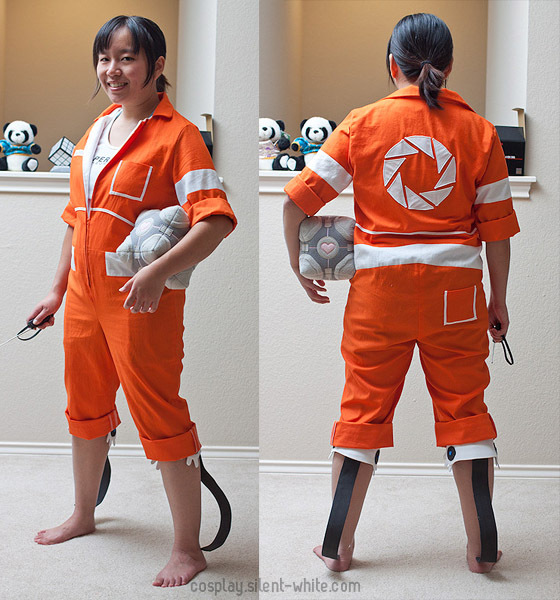 The jumpsuit mainly looks like her Portal 2 version (white lining, larger stripes), but I also used details from the first game to fill in parts I couldn’t see. I really love how the jumpsuit came out! 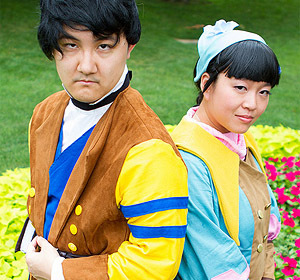 Not only is it from one of my favorite games, but it’s also super comfortable to wear. 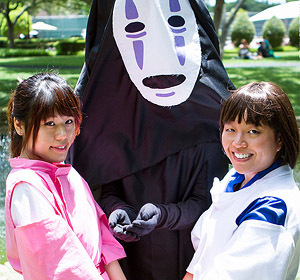 So far, I really like wearing it like her Portal 1 version because it shows off more of the jumpsuit. I’ve made both versions of the long fall boots/blades, though I’d like to go back and re-make both of them some time.